Still undecided on what to bring for this season's potluck celebrations and festive noche buena with loved ones? Then this list is for you -- we round up Noche Buena picks and where to order them in Manila, to make make the holidays a breeze! The Broken Oven boasts mastery of timeless, comforting classics on their menu—plus innovative and unique dishes for good measure (hello, Sisig Kanin Balls!). Put a slab of Australian sirloin roast beef (P2,200 per kilogram) on the table—it’s one of their new menu items that you need to try. Did you think we’d forget the ham?! Noche Buena wouldn’t be complete without it—so go for the best option out there. The Plaza, run by chef Karla Reyes, is the real deal. 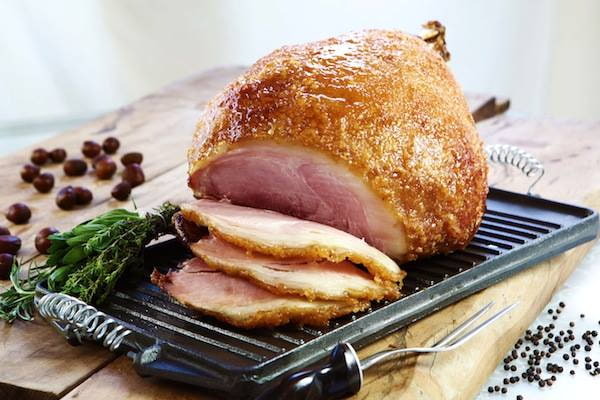 Pick the Baked Ham (P1,600) and you’re good to go! Visit www.theplazapremiumbakedham.com and call 729-0003. We know you put in a lot of hard work into curating and cooking your Noche Buena spread…so make it Instagrammable! Throw in one aperitif’s grazing platters for good measure. 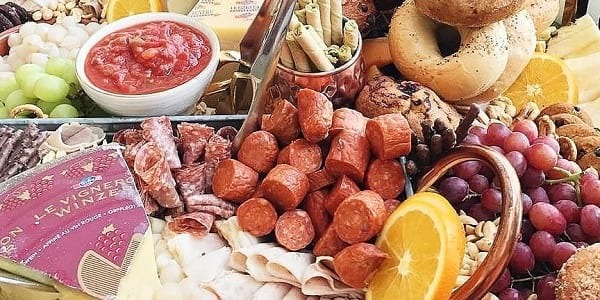 Their basic one that includes charcuterie, cheese, nuts, and more starts at P6,000, but you can always customize a platter depending on your needs. They even have dessert grazing platters! For orders, contact 0917-5737171; visit www.aperitifph.com. The easiest way to be the most well-loved person at a party: Bring a box of assorted sushi! Sushi Nori puts together all their best-sellers, like the California Maki and Firecracker Rolls, into one box called the Best of the Best Sushi Tray for P1,799. Plus, they recently launched their dreamy Sushi Cake for P1,200—make sure you call them an hour in advance to have this cake ready. Looking for a dependable, always-there-for-you supplier of lechon for the holiday festivities? 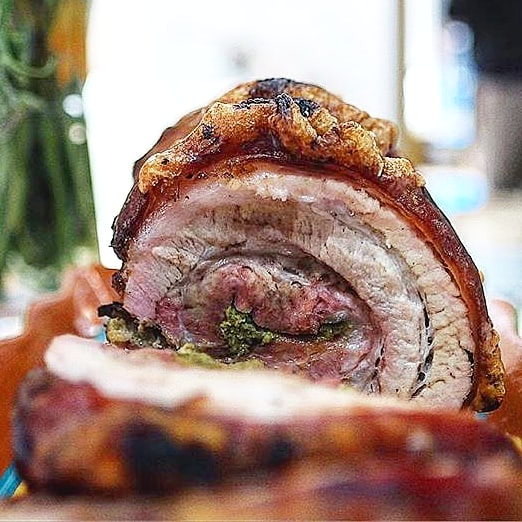 Ring Sabroso Lechon’s line and order whole lechon with a price range between P6,000 to P9,000. Sabroso Lechon is available at P800 for one kilo; P6,200 to P9,300 for whole. For orders, call 0920-1239999 , 961-9934. 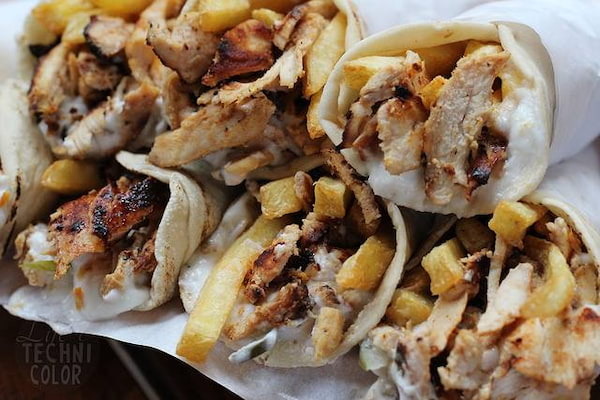 Bite-sized shawarma? Yes, please! How else are you going to get the party started? If you’re feeding a crowd, easy-to-handle little shawarma wraps will absolutely do the trick. You can order a 30-piece platter of Beef (P1,550), Chicken (P1,350), or Mixed Shawarma (P1, 450). The great thing about Yo Panda’s Party Trays is that they have all your Pinoy party needs covered. Potluck-friendly Baked Spag (P900), Fried Chicken (P1.400), and even Chicken Satay (P1,100) will all be kid- and adult-friendly food picks. For orders, contact 718-3796 and 0917-4974924. Life hack to being well-loved: Order a take-out tray of our House Crispy Sisig and bring it to your next family dinner or potluck party! 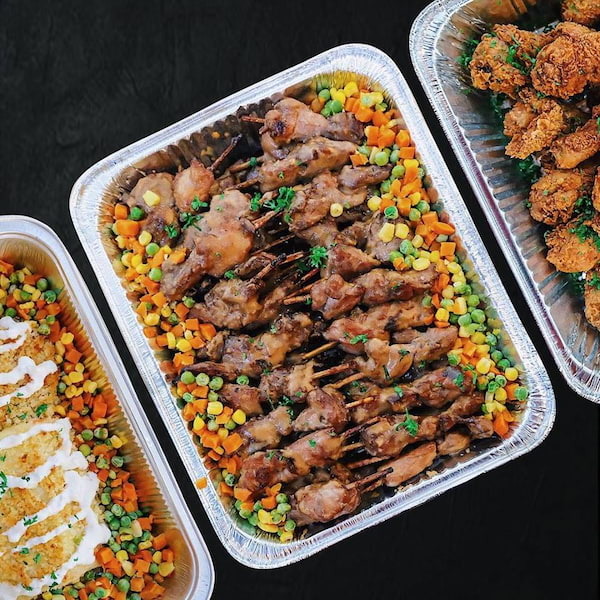 Your favourite Filipino food place has pancit potluck trays for all your party people out there! The Pancit Sisig (P1,250) pairs their famous House Crispy Sisig with classic pancit #noods, and their Crispy Pancit Palabok (P1,250) is a modern twist on the classic palabok, making use of deep-fried vermicelli that softens up upon mixing in the umami-packed palabok sauce. All potluck dishes are good for up to 10 people. To order, call your preferred branch ahead of time and come by for pick-up. For orders, call Manam Greenbelt 2 at 625-0515, Manam BGC at 332-9390, Manam Greenhills 504-9152, Manam Ayala Fairview Terraces at 625-4719, Manam MOA at 889-1020, and Manam Café (SM Megamall) at 531-3302. 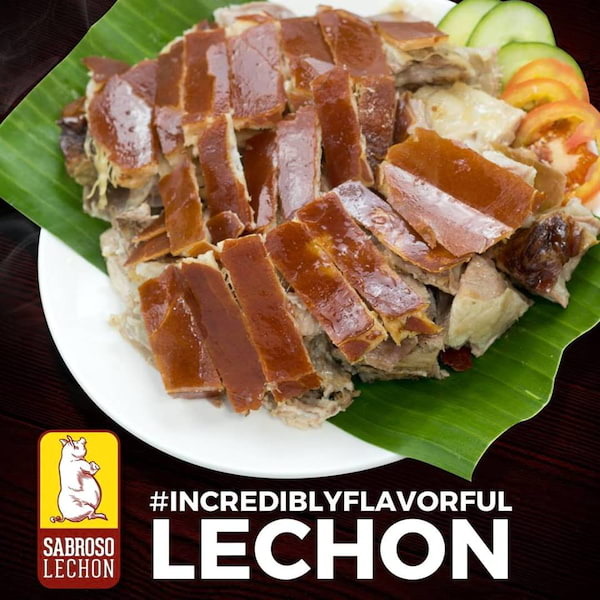 While lechon is already on this list, lechon belly definitely deserves a shout out of its own. Manila Belly specializes in quality slabs that are packed with flavor in every bite. Choose their best-selling spicy slab for P2,250 or the original for P2,050. 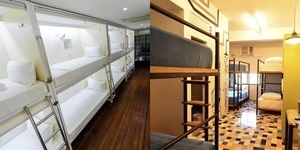 Both are good for up to 15 people. 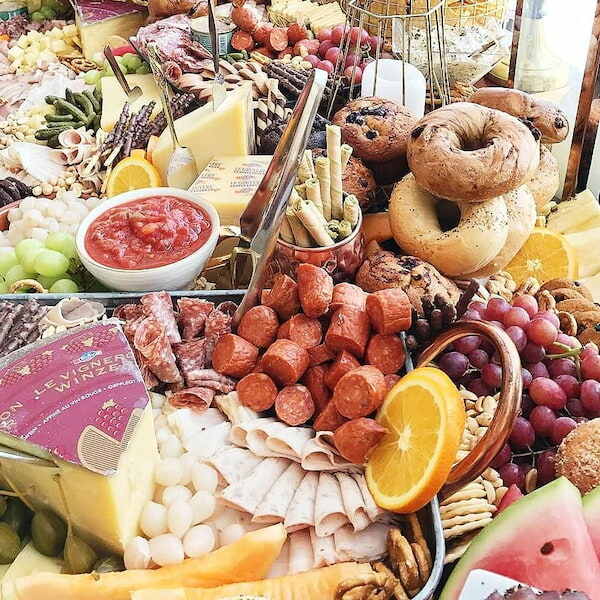 This has to be your go-to for party trays that can feed a crowd! 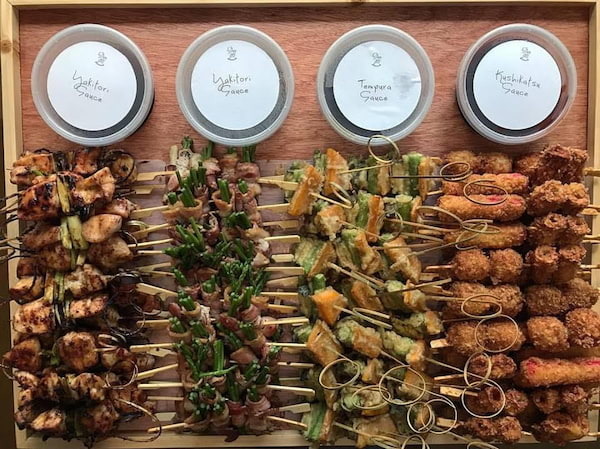 With a delicious mix of Chicken Skewers, Bacon-Wrapped Enoki and Asparagus, Vegetable Tempura, and Kushikatsu (with tempura sauce and kushikatsu sauce to go with them), there’s no holding back! One tray is enough to feed 25 people and is priced at P4,850. To order, log on to www.traybienph.com/online-ordering or call 0908-8178137.